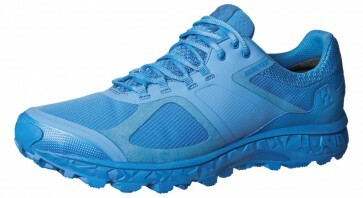 A breathable and lightweight trail running running shoe with Gore-Tex, the Haglöfs Gram AM GT Gale blue. The outsole offers you uphill, downhill, on any outdoor surface optimum grip on any terrain. The Gore-Tex (Gtx) membrane makes the sports shoe waterproof and protects the shoe against water intrusion. Information about Haglöfs Gram AM GT Gale blue?